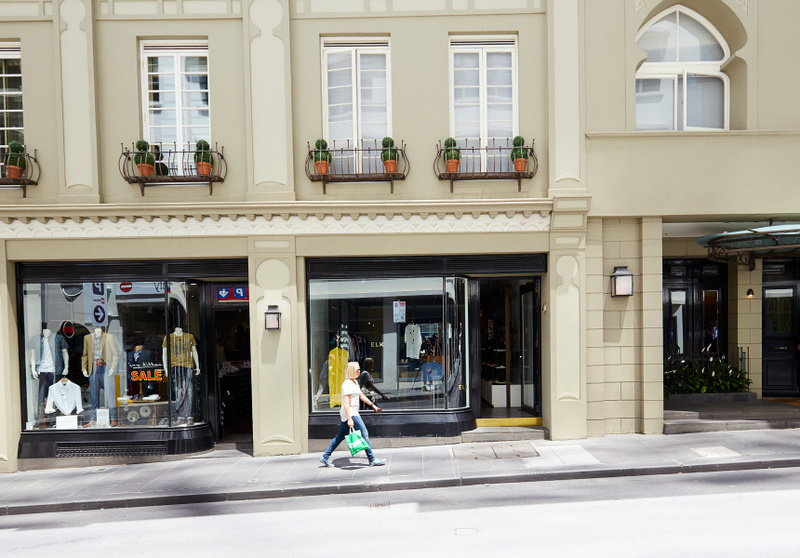 After more than a decade of wholesaling and selling from its location in Preston, this Melbourne-based accessories and clothing label opened a store in the upper end of Little Collins Street in January 2017 in a heritage building. 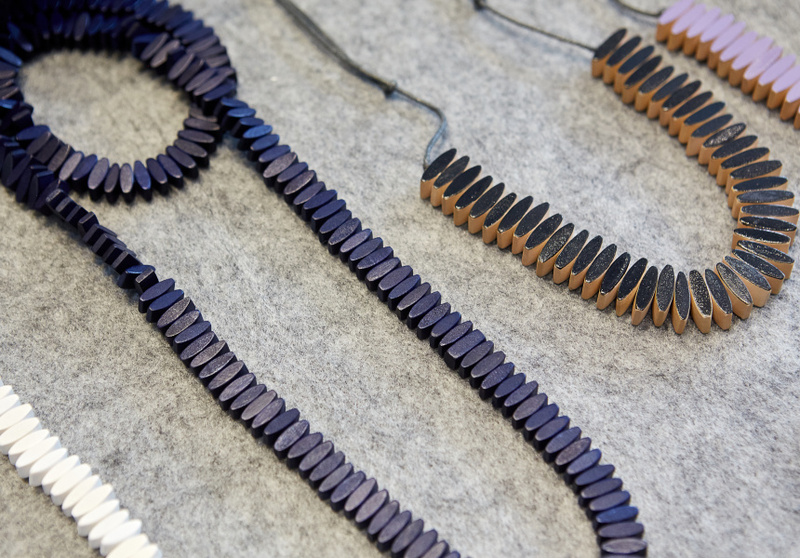 Elk has a following for its accessible, no-fuss and considered approach to design; sourcing sustainable timber for its accessories, and visiting manufacturing factories multiple times a year, is as fundamental to the brand as the cut of a pair of pants. 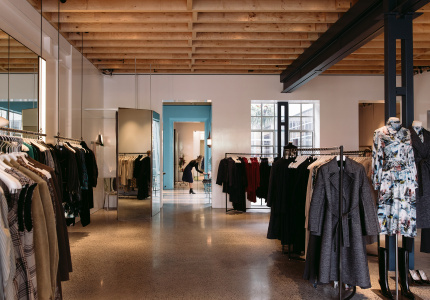 The store carries a mix of jewellery, womenswear, shoes, bags and men’s leather goods, with a focus on high-end products, such as silk dresses. Chocolate-brown floorboards flow through the space before reaching the carpeted change rooms. 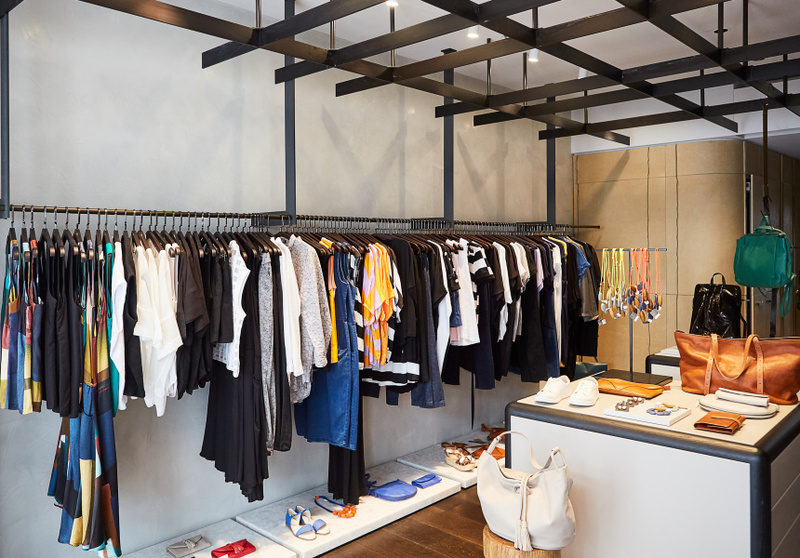 Drawers, which mimic wall panels hidden in floor-to-ceiling oak timber, contain the brand’s signature wooden necklaces, leather bags and wallets. There’s a nod to the brand’s extensive range of handmade leather goods through the leather straps that unfold from the ceiling, and shoes rest on white slabs of marble.